A Personal Cut. Automated Finishing Expands Services for Giftware Provider. The latest in digital printing and finishing technology is designed to invigorate users to be more creative, while simultaneously improving efficiency, productivity, and the bottom line. Laser cutting and engraving devices allow manufacturers to create limitless designs without the time and expense of dies. Whether used to manufacture or finish a product, automated finishing solutions serve a multifaceted purpose for a variety of organizations. Based in Liss, Hampshire in the U.K., Rocket and Fox employs a fluctuating staff of three to seven, depending on the time of year. Its products are fabricated out of an industrial studio located in the middle of the South Downs National Park. The company launched in 2010 with a focus on giftware. It utilizes a mix of materials including wood, textiles, and china for seasonal gifts, personalized décor, housewares, and accessories. One piece of equipment instrumental in many of Rocket and Fox’s products is a laser cutter from Trotec Laser Inc. “We use the machinery primarily to cut and engrave wood, cork, medium-density fiberboard, leather, acrylic, and felt, as well as to engrave on glass,” shares Jo Lindsay, company director, Rocket and Fox. Above: Based in Liss, Hampshire in the U.K., Rocket and Fox utilizes a mix of materials, including wood, textiles, and china to create seasonal gifts for occasions, personalized decor, housewares, and accessories. The company’s first foray into laser technology started at a trade show where it witnessed a demonstration of engraving from Trotec. The team was impressed with the possibilities offered from laser engraving, but were not confident its designs would yield a good return on investment. To get its feet wet, the company opted for an entry-level laser machine from another supplier. It outgrew the machine after only six months, finding it a challenge to keep up with demand. The company soon realized it was time to invest in a more industrial option and got in touch with Trotec to arrange a demonstration at a local showroom. Rocket and Fox decided on a Trotec Speedy 100 laser engraver. A year into the purchase it chose to further ramp up production capabilities and expand its laser cutting and engraving services. “Having experienced the reliability, robustness, and speed of the Speedy 100, we opted to add a Speedy 300 to the Rocket and Fox studio,” comments Lindsay. The Speedy 300 offers a larger bed size and the ability to process laser jobs simultaneously, allowing the company to produce more products in a shorter amount of time. The Speedy 100 offers a working area of 24×12 inches, while the Speedy 300 features a 29×17-inch bed. Featuring Trotec’s flexx-Technology, the machines combine a CO2 laser for cutting and engraving a variety of materials—including plastic, wood, rubber, and glass—with a fiber laser for marking plastics and metals, eliminating the need to use and maintain separate systems to process jobs that require both laser types. In addition to its two laser cutters from Trotec, the company also employs a Graphtec vinyl cutter and an Oki Data digital printer. The company utilizes digital print technology to produce full-color output on a range of textiles, like cotton bags. 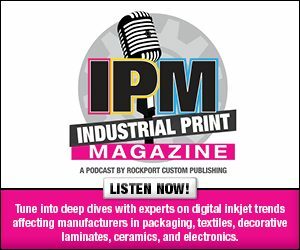 The decision to invest in digital printing came when the company was searching for ways to add optional extras to its existing products, such as selling an add-on storage bag or apron to a set of baking utensils. After looking into a few systems, it ended up investing in an Oki Data graphics art printer with white toner. Today, all of the company’s products require some type of creation or finishing from one of these devices, and the team is in the process of researching additional technologies to further their range and become more efficient. The company plans to keep an eye on new equipment and technologies that could positively affect the business as continued advancements are made. The company finds the biggest benefits from this technology to be the range of products it allows them to create. “The only limitation is your imagination,” comments Lindsay. Rocket and Fox offers a range of custom items, including accessories for momentous life occasions—like weddings. One popular item is wedding cake toppers, which are fabricated in house. To create its cake toppers, the company has a template for the actual outline. Text is overlaid with the customer’s requirements. Sometimes a job will call for something a little more bespoke, but the company staffs a team of graphic designers who quickly get the designs ready for proofing. The standard dimensions for a hexagonal clear acrylic cake topper are 16.7×14.5 centimeters and a diameter of 0.03 centimeters. However, these can be adjusted per a customer’s requirements. To start the process, the text/design is engraved and the topper is cut. The company uses three millimeter clear Perspex acrylic sheets from Lucite International, a group company of Mitsubishi Chemical. Once complete, the topper is carefully lifted from the sheet and protective covering is removed and cleaned before being packaged. The challenge with this product is that cutting acrylic is highly flammable. “We have good extraction for the fumes, but there is always the possibility of small explosive fires, so we need to watch the cutting carefully and be prepared to stop everything if a fire breaks out,” shares Lindsay. The best way to avoid this scenario is to ensure the settings are correct—both power and speed—and that the bed is free of debris so there is less opportunity for ignition. Most of the time, just one cake topper is created. However, the company can also nest multiple products/designs requiring the same material on a sheet and have them made at the same time. “For example, we could have an order for a cake topper and some place settings, if both products require the same material and settings; we can nest the designs together and avoid substrate waste. This is also a more efficient way for us to work,” says Lindsay. Rocket and Fox is constantly designing new products. One of its goals for the next year is to create a warehouse catalog to supply other shops with its creations. The team is also researching some new technologies to expand its offerings—but it’s too early to say just what. Sellable goods come in many shapes, sizes, and quantities. Rocket and Fox relies on the latest technologies to remain innovative, efficient, and profitable.